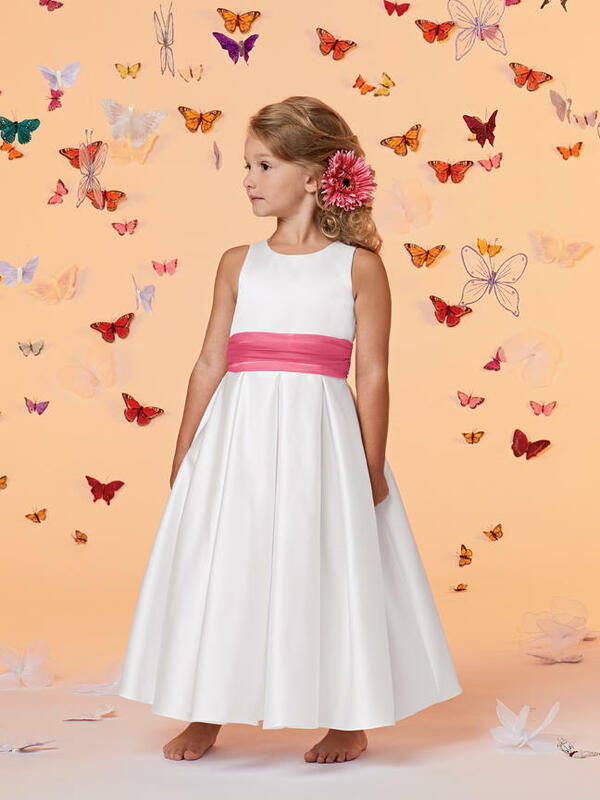 Shown in White/Candy�Satin bodice with keyhole back. Flared ankle length skirt with inverted pleats. 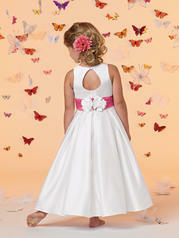 Shirred organza waistband with satin flower at back. Available in ankle and floor length. Available in any 2 colors. Not available in solid Light Ivory. Available in any Crystal Satin color in combination with any Organza color waistband. Not available in solid Light Ivory.